In recent years, small networks of traders have started to bring cheap, China-made smartphones to low- and middle-income consumers in the Global South. These traders inhabit the grey area between the official economy and the black markets, and have made significant inroads in low-end markets by being nimble, fast, and reactive players. They also bring to new consumers smartphones that are, by default, integrated with the Chinese ecosystem of apps, rather than the Western one. In this talk, I will draw from my ongoing research in northern Myanmar to discuss both sides of these emerging mobile phone markets: the one of traders, and their cross-border strategies to bring phones to consumers, and the one of consumers, who face a wide set of challenges due to their environment and the phones they have access to. 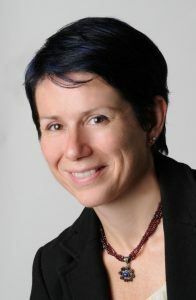 Elisa Oreglia is a lecturer at the Centre for Media Studies, SOAS. Her research is about the diffusion, appropriation, and use of digital technologies among marginal communities in Asia, especially in China and Myanmar.